Mercedes-Benz of Westminster is proud to be participating in the Military Purchase Program to honor our active duty military members who are currently serving overseas. We recognize the sacrifice that our military heroes and their families have made, which is why we want to give a little back through this exciting program. This special vehicle purchase program is made available to military members who are currently stationed overseas, and provides access to special benefits that are not available to the civilian or other military personnel. As a participating full-service Mercedes-Benz dealership, Mercedes-Benz of Westminster can assist overseas military members in taking advantage of their special deployment benefits before they return home. That means you can access special pricing, get preferred financing assistance, and even custom-order your Mercedes-Benz vehicle, and have it waiting for you when you return state-side. If you’re stationed in Europe, you can also order and have your Mercedes-Benz delivered to your duty station. If you’re a qualified military member, you can take advantage of special pricing, low or no-tax benefits and special financing offers that are only available to you. 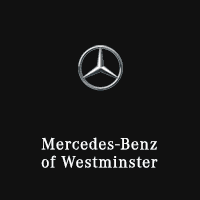 By participating in the special purchase program, you can order your Mercedes-Benz and have it waiting for you here at Mercedes-Benz of Westminster when you return stateside. That means service members returning to Fort Carson Army base, Cheyenne Mountain Air Force Station, Schriever Air Force Base, Buckley Air Force Base, or any of the other military facilities here in Colorado can pick up their new vehicle right here at Mercedes-Benz of Westminster. Here at Mercedes-Benz of Westminster, we believe there is no better vehicle than a new Mercedes-Benz for anyone, including military members and their families. That’s because Mercedes-Benz makes some of the safest cars on the road, and has some of the best resale values of any vehicle sold. That’s especially important for military members who may get deployed and need to sell their vehicles. With a Mercedes-Benz, there is a greater chance that you’ll receive as much of your vehicle investment when you go to sell it as possible. Also, a Mercedes-Benz will last for many years and even decades. Which means your Mercedes-Benz will be here for as long as you need it, reliably serving you as you’ve served our country.